Protective eyewear for different frequencies around some samples submitted for testing. High-power, ultrafast pulsed lasers increasingly supply light for biomedical applications and imaging, materials processing, industrial micromachining and more. But many laser eyewear products are not tested with ultrafast lasers and may not be providing adequate protection for the technical workers who depend on them. 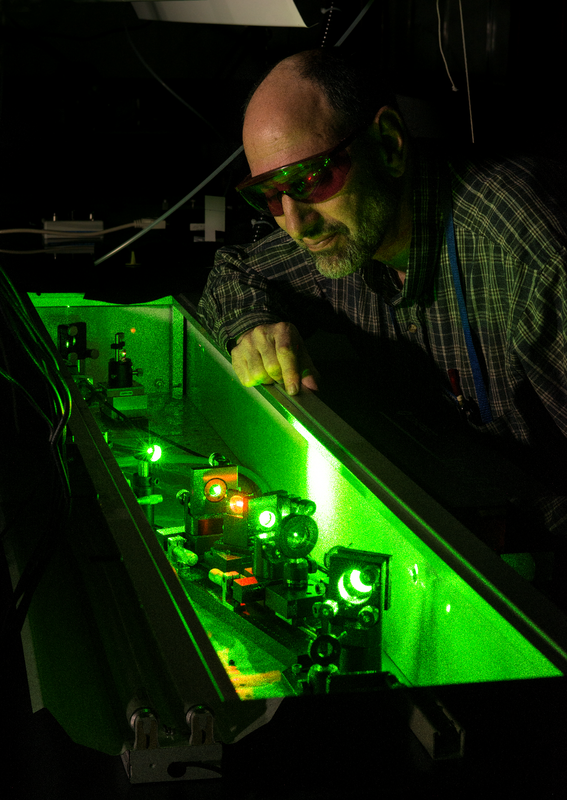 NIST researcher Ted Heilweil examines the pump laser used in the OD testing. Unlike continuous-wave lasers, which produce only one very narrow wavelength, ultrafast pulsed laser bursts contain light of many different wavelengths. Paper: C.J. Stromberg, J.A. Hadler, B.C. Alberding and E.J. Heilweil, Ultrafast laser eyewear protection: Measurements and precautions, Journal of Laser Applications. Published online September 2017. DOI: 10.2351/1.5004090. 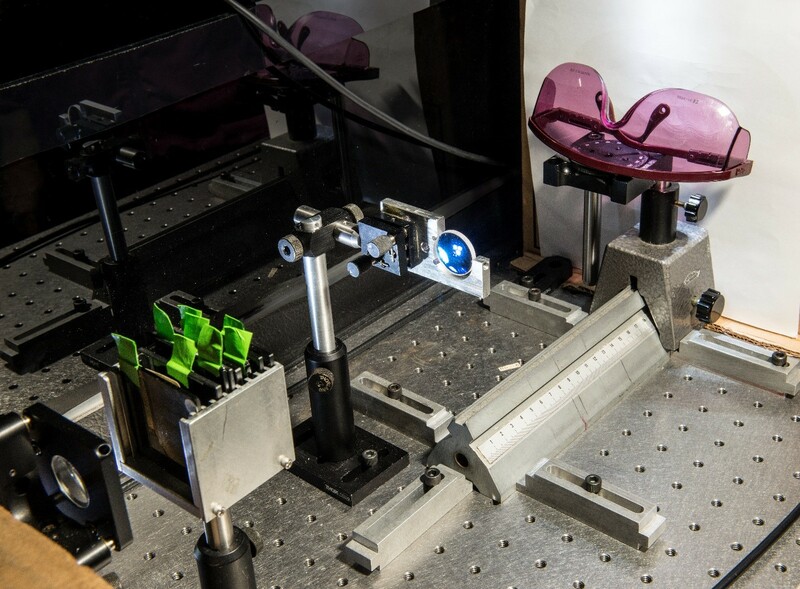 * The NIST researchers conducted repeated measurements of the optical density (OD) for each sample, often on different days and with different laser power levels. The measured values for a given sample were reproducible to within plus or minus 20 percent. OD is a logarithmic scale. A sample with an OD rating of 3 blocks 10 times more light than one with a rating of 2. Many of the variations in OD that the researchers measured at different frequencies varied by a factor of 100 or 1,000 or even more.